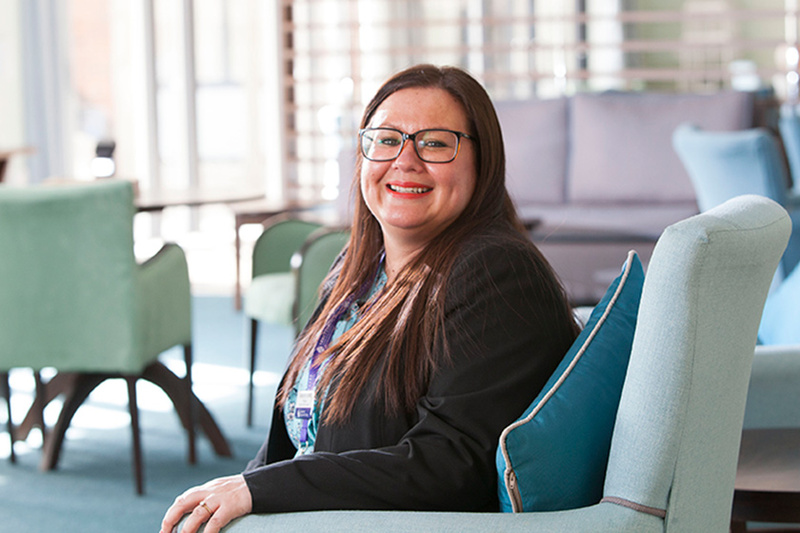 As Registered Retirement Living Manager for Baskeyfield House, Sarah-Jane Morgan has a wide remit, from housing management of the service’s 80 apartments to helping residents establish their darts and pool teams. Working in the housing industry since February 2000, Sarah-Jane spent nine years in deputy roles with other housing providers before deciding to apply for a manager position at Sanctuary’s Baskeyfield House in 2017. It’s a role that requires Sarah-Jane to not just manage the properties and her own team, but also to support residents to develop Baskeyfield House as a key part of the local community. By helping establish residents’ teams for darts, pool and table tennis – and then set up competitions with the wider community – Sarah-Jane hopes to promote social cohesion. She said: “I love meeting new people, showing them around the scheme and sharing local knowledge and the benefits of Baskeyfield House. Sarah-Jane added: “My area service manager (ASM) is very supportive and is very knowledgeable about the Sanctuary systems and processes and the best people to contact in different circumstances. We have also got a good varied group of managers in our team area, so we share our experiences to ensure good practice throughout.